World Medical Mission supports mission hospitals by providing equipment, supplies, and technical support. We operate a warehouse that makes shipments to dozens of countries each year. Our biomedical technicians and electrical engineer refurbish donated equipment and also regularly visit mission hospitals to provide field support and maintenance. Machinery and equipment that might be outdated in Western hospitals can be a blessing in a mission hospital, if it is appropriate, functional, and properly installed. World Medical Mission carefully evaluates potential donations to ensure that we send only good quality, useful, and appropriate equipment and supplies. Many mission hospitals are already filled with outdated or broken-down equipment. The last thing we want to do is send more of the same. Although we do appreciate all offers, there will be times when a donation cannot be accepted due to these evaluation standards. Before shipping any donations, please call World Medical Mission at (828) 262-1980 and speak with a biomedical technician. 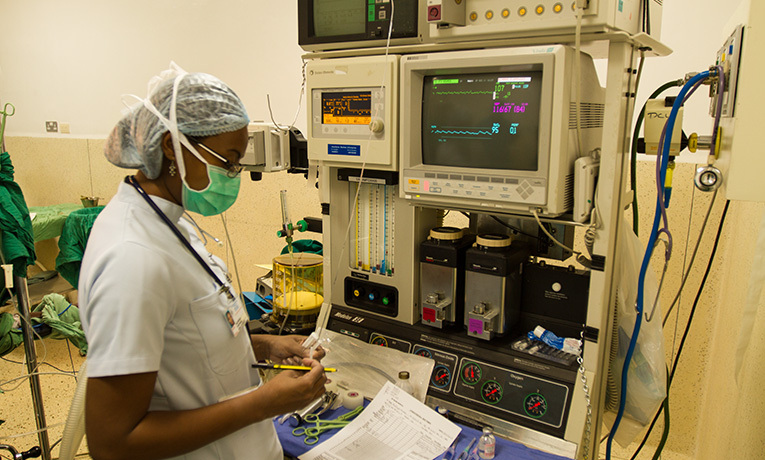 When evaluating donations for mission hospitals, World Medical Mission must consider the equipment’s condition, its intended use as well as the maintenance requirements and the availability of parts and accessories. Please consider the following suggestions when donating medical items. Prior to shipping any items please call our medical warehouse at 828-262-1980 to verify that we can use your donation. Items should be sorted and boxed/bagged in separate containers. We do not accept pharmaceuticals and liquids such as cleaners and IV solution. Most office furniture and equipment is generally not accepted. If you have any questions please do not hesitate to call. Most medical equipment requires various accessories to function properly. When collecting medical equipment for donation, please make every effort to find patient cables, transducers, power cords, recorder paper, spare parts, and operator and service manuals. In developing countries, mechanical tables and equipment that are simple to operate and not dependent upon electricity are preferred. Equipment that requires electricity to operate should function on both 50 and 60 Hz and be easily convertible to a different voltage. In general, equipment should not be older than 15 years from date of manufacture. Prior to shipping any equipment please contact our biomedical technicians at 828-262-1980. Medical equipment should be packaged with care for domestic shipping. Please call us if you need recommendations or assistance in this area. World Medical Mission attempts to cover all the costs of equipment refurbishing and shipping to the mission field. Your assistance with the shipping cost to the North Wilkesboro, NC warehouse would be greatly appreciated. If you are unable to pay for this cost, please call and make shipping arrangements with World Medical Mission technical and warehouse staff.